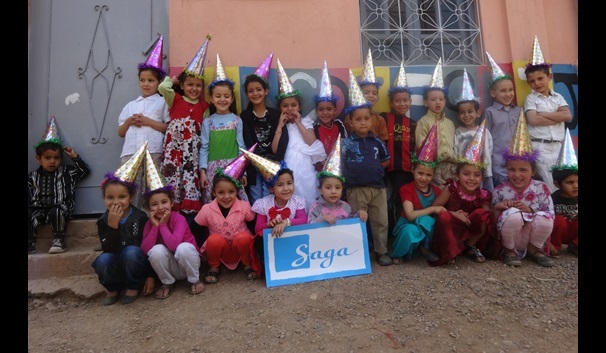 The Saga Charitable Trust established a learning centre in the village of Agounsane, Morocco in 2012, and further funding supported a Womens Education Centre which was officially opened in 2015. The Berber population is around 60% of the total population in Morocco but very little Arabic is spoken in their mountain villages. 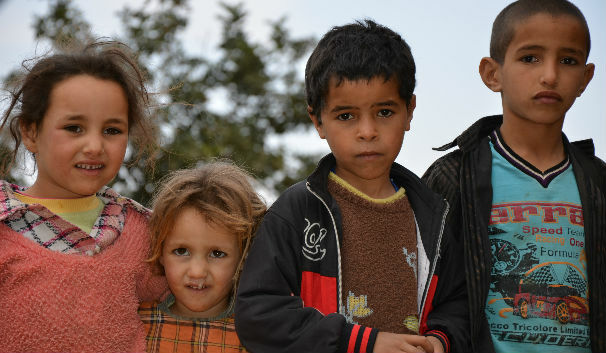 All lessons in government schools are taught in Arabic so Berber children are disadvantaged from the start. This means that many children, in particular girls, do not complete their education, which is reflected in the low literacy rates amongst women. By funding the learning centre in Agounsane, a Berber village in the foothills of the Atlas Mountains, the Trust has been able to provide the community with a way to prepare young Berber children for primary school by providing lessons in Arabic. The centre is able to accomodate thirty five pre-school children. Seventy per cent of the children taught here have moved on succesfully to government run primary schools and are thriving in their new classes. In 2014 the Trust awarded further funding to complete the construction of a Womens Education Centre in Agounsane, to provide classes in literacy and health education. There are currently forty five women enrolled in classes and we will be supporting them with funding until 2017, to provide a full programme of activities and help establish a co-operative that aims to become self sufficient and provide the women of the village with a reliable source of income. The education centre prepares young Berber children for primary school by teaching them Arabic, which is used in all government schools.